The Allahabad High Court has ruled that if Delhi Chief Minister Arvind Kejriwal surrenders before a court in Amethi district within four weeks, no coercive action shall be taken against him till then in a criminal case pending in the lower court. 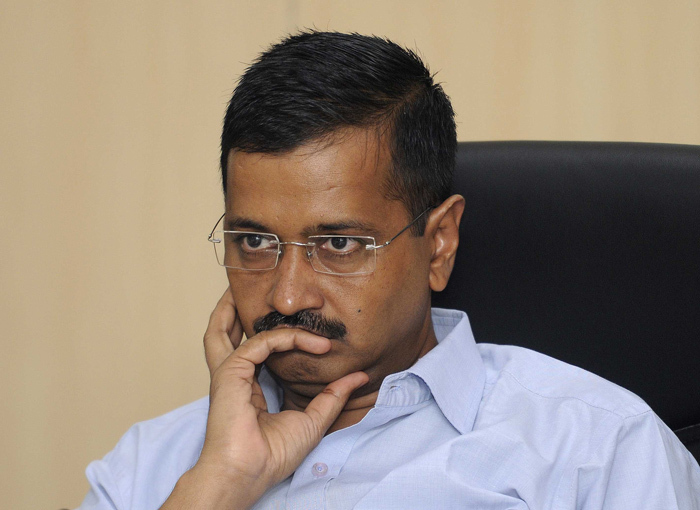 Kejriwal had sought a direction to quash the order of the court of judicial magistrate, Amethi, which dismissed his petition for exemption of his personal attendance. Earlier, on August 3, the High Court had stayed for four weeks a bailable warrant issued against the Delhi chief minister by the court in Amethi in connection with his alleged inflammatory speech in the district during the Lok Sabha election last year. Binod Chaudhary, a Nepali businessman of Indian-origin, has found place on the cover of Forbes Asia's September issue for his efforts to rebuild the quake-hit nation. Forbes magazine had listed him as the first billionaire of the country in 2013. 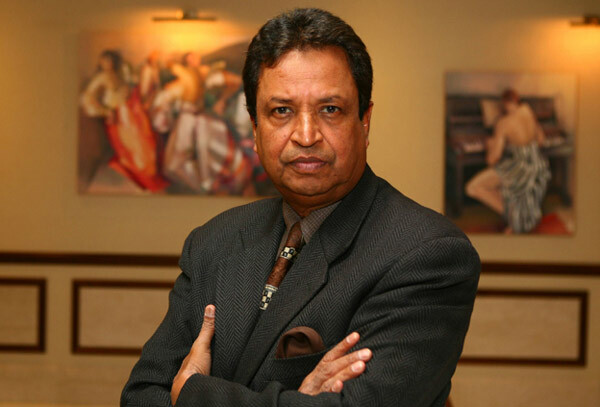 60-year-old Chaudhary, president of Chaudhary Group is working on a project that would construct 10,000 earthquake proof houses for the quake victims in the country, after buildings were damaged in the devastating earthquake that rocked the country on 25 April and killed nearly 9,000 people. A group of ex-servicemen, on 28 August, approached Home Minister Rajnath Singh to demand an early implementation of the One Rank One Pension Scheme. They discussed various aspects of the scheme and gave a detailed representation to the Home Minister to prove that their demand was justified. Rajnath Singh listened to the ex-servicemen and then gave them an assurance that appropriate steps will be taken. 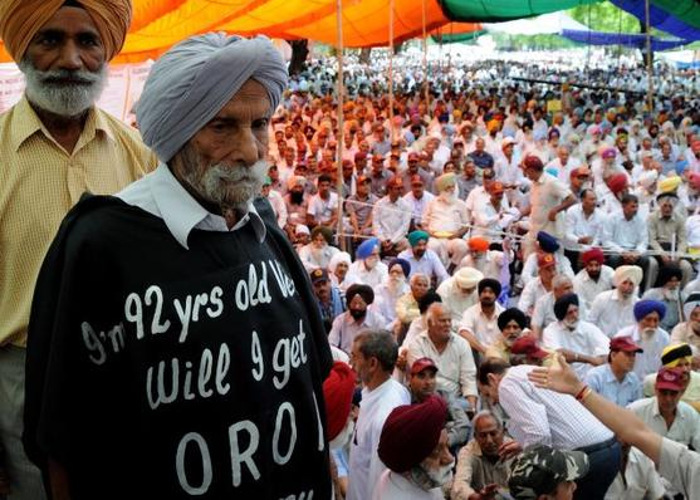 The ex-servicemen have been protesting for more than two months at Jantar Mantar in the national capital demanding early implementation of OROP. Defence Minister Manohar Parrikar also hinted that the government might take a positive step towards implementation of the scheme. 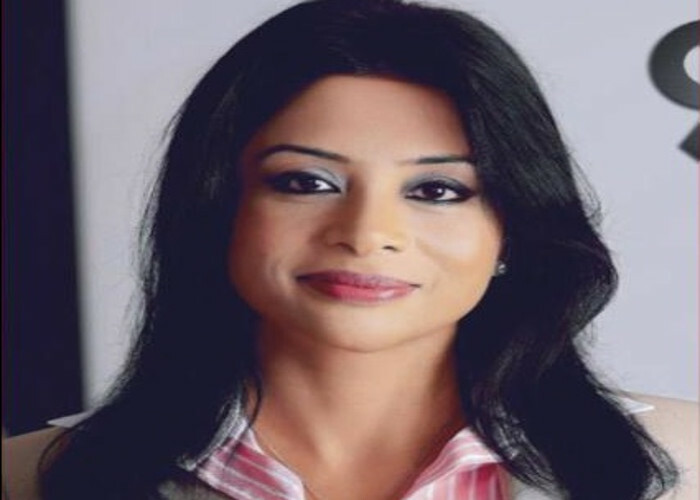 Sanjeev Khanna, the former husband of Indrani Mukherjea, arrested in connection with the Sheena Bora murder case has confessed to his complicity, Mumbai Police chief, Rakesh Maria has claimed in a late night press conference on Friday. NDTV quoted him as saying, "We interrogated the third accused (Khanna) and he has confessed to complicity in the crime. We have also recovered her (Sheena's) passport from Dehra Dun, which negates the theory that Sheena Bora went to the US." Khanna was taken to an undisclosed location for joint interrogation with Indrani and her driver S P Rai, who the police said in a court had abducted 25-year-old Sheena in a car and took her to a forest in Pen town of Raigad district where they strangulated her. Pakistani Rangers resorted to unprovoked shelling on civilian areas along the international border in R S Pura sector of Jammu and Kashmir on 28 August. Three people lost their lives and more than a dozen got seriously injured in the attack. The Director Generals of Pakistan Rangers and Border Security Force are going to meet on 6 September in Delhi to discuss about the situation on Indo-Pak border. According to media reports, the Pakistani Rangers started firing during the midnight and then escalated their attack later in the day. Earlier, the NSA talks between India and Pakistan were called off because Kashmiri separatist leaders had invited the Pak NSA to meet them and India did not agree with it. After Hafiz Saeed blocked its release in Pakistani cinemas, 'Phantom' is on the receiving end of legal action yet again. This time it's international charity Medecins Sans Frontieres (MSF) who are upset with how they are depicted in the film. 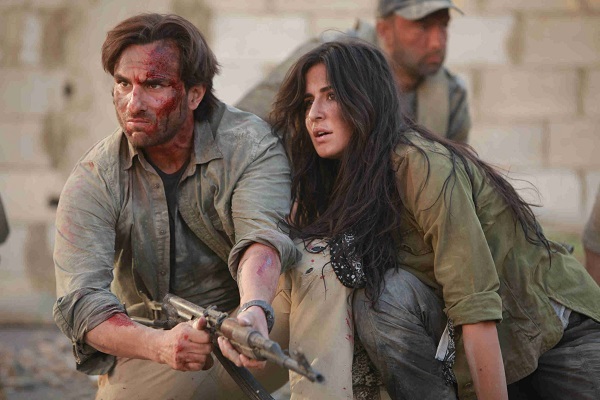 In the film, Katrina Kaif plays a MSF worker who assists Saif Ali Khan's character in the assassination of Pakistani militants. MSF contends that the depiction is misleading and could put aid workers at risk. MSF issued a statement saying, "Any portrayal that suggests MSF does anything other than provide medical care could endanger our patients, staff, our ability to work in places where people might not otherwise have access to healthcare and undermine our reputation." Noted agricultural scientist Dr Modadugu Vijay Gupta was awarded the first-ever Sunhak Peace Prize on Friday. Gupta was one of two people conferred with the award, the other, Anote Tong, is the President of the Kiribati Islands. They will share the award of $1 million. Gupta was selected for the award for his work in creating an aquaculture system customised for poor and rural people in Africa, Asia and the Pacific. At the event, he urged world leaders to increase investment in aquaculture, something he believes will help combat the world's hunger problem. The Sunhak Peace Prize is considered an alternative to the Nobel Peace Prize. The UK government announced a new anti-ISIS measure on Friday - an anti-ISIS Twitter handle. The handle - @UKAgainstISIL - will be used to provide the public with updates on the government's efforts to fight ISIS. The handle has already put out four posts, including a video showcasing the UK's role in the fight against terror. The Twitter handle will have a lot to combat though, an estimated 46,000+ ISIS twitter handles are currently active on Twitter. On the ground, British forces are currently involved in anti-ISIS operations in Iraq, but not in Syria. 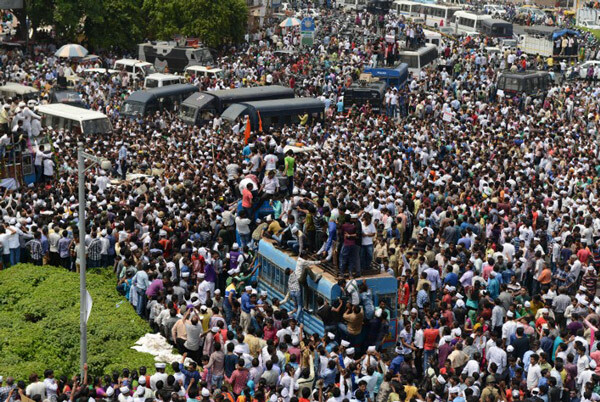 The heat of Patel agitation in Gujarat has now reached Haryana where Jats are now threatening to start a massive nationwide protest on 28 September. In addition, they have warned to block supply of milk, vegetable and water to Delhi. Various Jat organisations will come together for a meeting in Panipat on 30 August to formulate their strategy. Also, leaders of Khap Panchayats and other Jat organisations based in Delhi and NCR will meet on 6 September at Najafgarh. They enjoy the status of Socially Backward Category (SBC) in Haryana and 10 percent jobs have been reserved for the SBC category. Jats have also been demanding reservations in central government jobs. India is extremely vulnerable to climate change and it will have a direct impact on the health of its citizens, experts said at a seminar on 28 August, 2015. World Health Organisation (WHO) predicted in a report that between 2030-2050, 250,000 additional deaths will occur due to climate change. 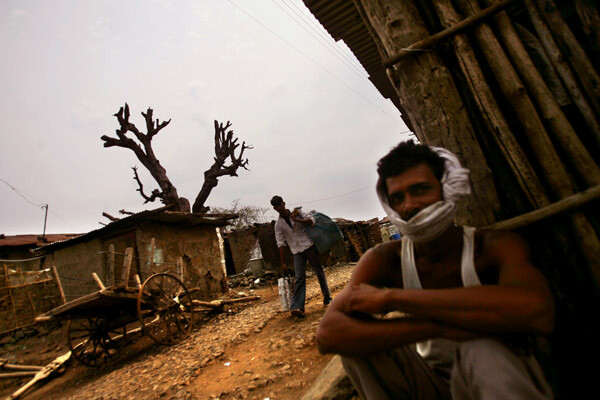 India is most prone to vector-borne diseases such as malaria and dengue. 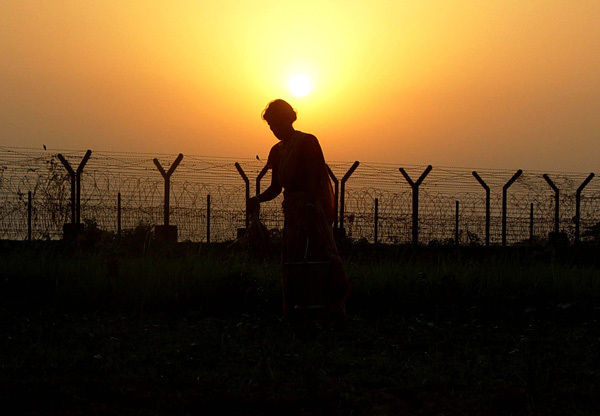 By 2030, India will witness a rise of 2-4 degrees Celsius. Subsequently, India will be dealing with heatwaves on a greater scale.